Smoked wines have been around since Roman times. In fact, the Romans had a special chamber for smoking wines called a fumarium. A fumarium was a smoke chamber used in Ancient Rome to enhance the flavor of wine through artificially "aging" the wine. Amphorae were placed in the chamber, which was built on top of a heated hearth, in order to impart a smoky flavor in the wine that also seemed to sharpen the acidity. The wine would sometimes come out of the fumarium with a paler color. In his book Vintage: The Story of Wine, Hugh Johnson noted that Pliny the Elder and Columella did not recommend that "first-growth wines" like Falernian, Caecuban, and Alban be smoked. For preservation, the amphorae were sometimes treated with sulphur dioxide prior to being placed in the fumarium. In his book, The Cyclopedia of Biblical Literature, John Kitto states that the ban on smoked wines as offerings in the Mishna stemmed from the Roman use of sulphur fumes-a uniquely Gentile technique. Can anyone recommend a smoked wine that can be served with fish, seafood, cheese and pasta on All Soul's Day and during Lent? 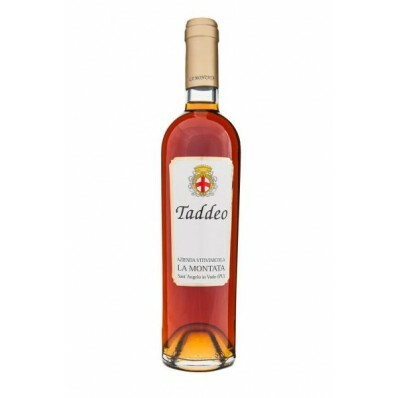 The only wine that I could find undergoing a similar process today is a sweet passito Vino Santo (like this: "TADDEO" VINO PASSITO AFFUMICATO) from Umbria, a small region in central Italy. However in this case it is not the wine to be smoked, it is the grapes: they are stored in smoke filled loft while waiting for them to dry. As I said this wine is sweet and probably quite intense, so I am not sure it would go well with your salmon. It is also quite rare to find, you would have to search well even if you are in Italy. Maybe you will have more luck using an earthy Pinot Noir from Burgundy, even a Marsanny Rosé could go well with its flintiness. If you really want something smoky you could try a Syrah from Northern Rhone, but it could be a bit too powerful for what you want to pair, so maybe you should choose a basic AOC like a Crozes-Hermitage from a good producer (for example Paul Jaboulet Aîné). Not the answer you're looking for? Browse other questions tagged wine red-wine smoked or ask your own question.